TOPEKA, Kan. (AP) — The top assistant who Kansas Secretary of State Kris Kobach tapped Friday to take over his duties until the hotly contested Republican gubernatorial primary race with Gov. Jeff Colyer is resolved has been reprimanded in the past for his handling of abortion investigations. 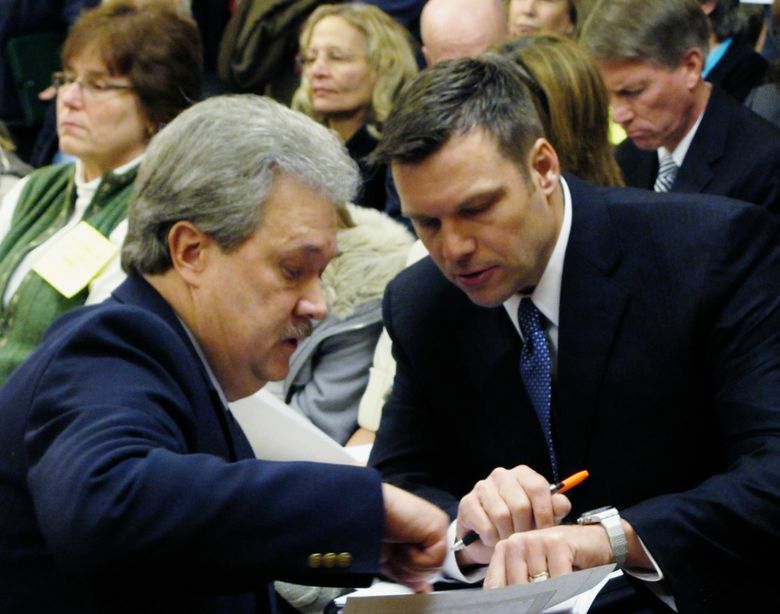 Kobach announced his decision to name Assistant Secretary of State Eric Rucker in a letter to Colyer after the governor demanded a day earlier that Kobach stop advising election officials on the handling of uncounted ballots. Rucker also will serve in Kobach’s place on the state board that certifies the final election results. A spokeswoman for the secretary of state’s office said Friday that Rucker declined to comment for this story. Rucker was a top aide to former Attorney General Phill Kline when both men faced criticism over investigations of abortion providers. Rucker received an informal admonition from a disciplinary panel for allowing misleading information to be given to the Kansas Supreme Court. When Kobach picked Rucker as his assistant secretary of state in 2010, Kobach said he didn’t see the past controversy as an issue and couldn’t think of anyone with better experience than Rucker for the job. Rucker oversaw the secretary of state’s elections division in the 1980s and later was both a Shawnee County commissioner and Dickinson County attorney. But he was probably best known as senior deputy attorney general under Kline from 2003 to 2007 and as Kline’s top deputy when Kline was Johnson County district attorney. In 2009, Rucker was accused in an ethics complaint of making false statements to the Kansas Supreme Court about two abortion clinics. The complaint alleged Rucker falsely denied knowledge of efforts to identify women who had received abortions at a Planned Parenthood clinic in Overland Park and at a Wichita clinic operated by the late Dr. George Tiller, who was killed by an anti-abortion zealot in 2009. The professional misconduct case against him was narrowed when the state’s attorney’s disciplinary administrator agreed to seek at most a public censure of him. Rucker received an informal admonition from the disciplinary panel for lawyers in 2010. Colyer’s campaign urged Kobach on Friday to reconsider its request to allow the state’s attorney general to provide legal advice to county election officials to reassure Kansas residents that the election results are free from conflicts of interest. “While Eric Rucker is a good and decent man, we do not believe assigning Kris Kobach’s duties to an at-will employee, whom Sec. Kobach can fire at any time, actually addresses the clear conflict of interest that exists,” Colyer’s campaign said in a statement.